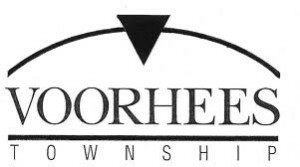 The Voorhees Township Committee agreed to the sale of $9.7 million in general obligation bonds at its meeting on July 14. The bonds consist of $5.8 million in municipal building bonds, $2.8 million in general improvement bonds and $1.1 million in sewer utility bonds. “The biggest thing we’re hoping to get from the sale of these bonds is to pay for Town Hall,” Township Administrator Larry Spellman said. Of the total, $5.8 million will go toward that payment. Voorhees moved into the new Town Hall on May 16, 2011. The agreement the township reached with Pennsylvania Real Estate Investment Trust allowed the township to move its offices to the new building at a reduced price. The initial agreement took into account the anticipated sale of the old municipal complex. The township has received a letter of intent to buy the old building, which, combined with the sale of the bonds, will allow it to pay off the new building. The move to Town Center has been beneficial to both sides. Town Center has gotten more businesses to relocate as a result of the township moving there and the township got a new building at a reduced price, officials said. The committee also awarded Gerald A. Barrett, LLC a $950,416 contract for road repairs in the township. Spellman expects the roadwork to begin by Aug. 1, now that the contract has been awarded. • The township awarded Ransome a contract for one large dump truck with a plow for $148,396. • The township accepted the retirement of township truck driver Billy Nees, effective Aug. 1. • The next Township Committee Meeting will take place on Aug. 11 at 7:30 p.m.